The purpose of this task group report is to provide recommendations for the assessment of display quality for flat-panel displays used in medicine. This includes both LCDs and OLED displays used in the acquisition and review of medical images. 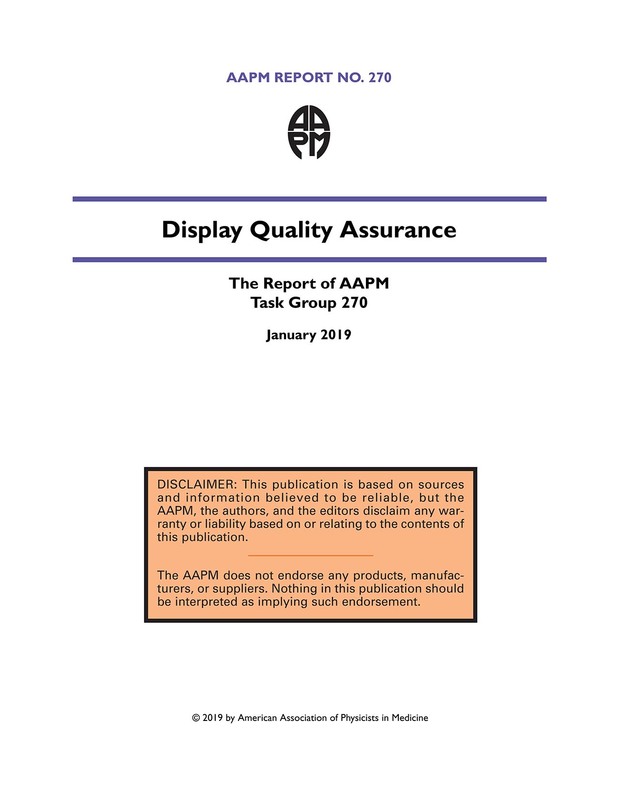 The information provided in this report is intended to help design a QA program for flat-panel displays, as well as aid in purchasing decisions. Nicholas B. Bevins, Ph.D., Michael J. Flynn, Ph.D., Michael S. Silosky, M.S. and Rebecca M. Marsh, Ph.D., Alisa I. Walz-Flannigan, Ph.D., Aldo Badano, Ph.D.